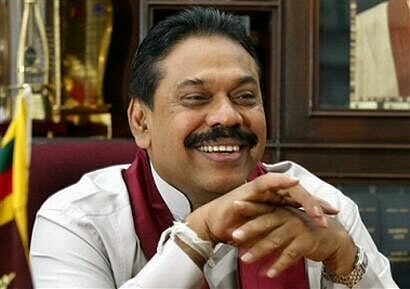 “I extend my warm and comradely good wishes to the working people of Sri Lanka who today celebrate International Workers’ Day, together with working people throughout the world,” President Mahinda Rajapaksa said in a May Day message. The message: “We have great pride at the worldwide recognition received for our labour standards and practices that fully honour and observe the conventions and agreements of the International Labour Organisation. We have successfully raised the current pace of economic growth in the country to 8.3 percent. As the moving force behind this success, the working people of our country fully deserve all honour and pride for this achievement. Therefore, it now is the time for them to participate in the victorious celebration of International Workers’ Day. “The country is now on the correct path of sustainable development, which will take both city and village towards progress and prosperity with speed, in the absence of conflict. Similarly, the government is paying necessary and proper attention to the needs of the farm, field and workplace. “Necessary regulations are in place for security of employment, health and welfare of working people, all of which are targeted towards development. I value very much the manner in which our working people, setting aside all differences, have aligned themselves behind the progressive policies of the government to achieve the goal of development. They have correctly understood that such unity will secure the sovereignty of the country and ensure economic success. “It is also noteworthy that we have seen to the dawn of a time when the people of the North and East, who were denied even the right to life during three decades of terrorism, today enjoy the right to celebrate May Day in freedom. It is the responsibility of our day to ensure that the working people of Sri Lanka are not divided regionally whether Northern, Southern or Eastern but come together for the country, under the single national flag of unity. “We see the continued emergence of diverse conspiracies to drag the working people and country to the depths of destruction. I am confident that, as in the past, the working people of today too, would defeat all such conspiracies based on narrow political aims and opportunist self interest, to strengthen and protect their unity and rights. “I believe that the best tribute we can pay on this International Workers’ Day to the former leaders of the working people and the sweat and tears of our workers is to ensure the prosperity of the people and the country. It is my wish that the support hitherto extended to the government by the working people would continue to be given to overcome the challenges before us in achieving development and protecting national unity. The yeoman support by the working class in defeating all reactionary forces against the country will never be forgotten, Prime Minister D M Jayaratne said in a May Day message. The message: “It is with pleasure I am issuing this message for the May Day rally which will be held under the leadership of President Mahinda Rajapaksa on the theme ‘Country first’ at the Colombo Municipal Grounds. it is more appropriate to introduce May Day – the day of working class – as the day of the people who love the country. “It is with great pride and pleasure that we who achieved these positions through dedicated and arduous sacrifices of the working class and as a government which stands by their needs and aspirations, share the joy of this May Day. “We are well aware that the aspirations and resolutions of every Sri Lankan who toils for this country is for a better tomorrow for their children. I wish to emphasise that the aim and objective of the government of President Mahinda Rajapaksa is to bestow upon the people a free and stable country devoid of war, disease and death fear. “The noble truth that is close to our hearts sans caste, creed, ethnicity and politics is only ‘Mother Sri Lanka’. It is because of this reason that we repeatedly accept the ‘Country first’ always. The time has come for people to join hands to protect the country from local and foreign extreme capitalists who are trying to interfere in the internal affairs of the country for their own existence, states the UPFA General Secretary Susil Premajayantha in a May Day message. The message states that all should shed party differences and unite with one objective if they are to protect the independence and sovereignty of the motherland. The UPFA government led by President Mahinda Rajapaksa has been able to restore and safeguard the people’s rights to live, as well as the worker rights. In order to secure these rights for the future it is essential for all to eschew partly differences and join hands in protecting the country. It is the duty of the working class to defeat local and foreign conspirators who are trying to create anarchy in the country. The SLFP has right along safeguarded worker rights. In 1956 the late Prime Minister S W R D Bandaranaike declared May Day as a public holiday. It should be recalled that the UNP prohibited May Day celebrations in 1987. The UPFA government has created an environment where worker problems can be resolved through discussions and negotiations. Since terrorism has been defeated under the leadership of the President, people of all parties in the South as well as in the North are able to celebrate May Day peacefully. The hard won freedom has contributed towards winning and safeguarding worker rights. May the workers joining the ‘Rata Ekata’ march towards a wonderful Sri Lanka, be victorious. I have great pleasure in congratulating the working class of Sri Lanka who joins their comrades the world over to celebrate May Day which marks the victory of the struggle launched in USA in 1886 to win the eight hour working day demand says Western Province Governor and Secretary Joint May Day Committee and Governor Joint Council of Trade Unions Alavi Moulana in a May Day message. The message said the tribute of the working class is due to President Mahinda Rajapaksa creating an environment conducive of peace and unity among all communities by rebuilding the nation devastated by cruel terrorism for three decades. It should be remembered with gratitude that it has been made possible to celebrate May Day in this manner due to the far sighted policies adopted by the President. Although workers who demanded a pay increase of Rs ten in 1980 were thrown out of employment by the then government the incumbent President had always listened to the wishes of the working class and implemented a programme for the country’s development and progress by obtaining their support and contribution. Today the workers have gained the right to express their sentiments. The President has also drawn up plans to minimise unemployment and create more employment avenues. A giant programme has been launched to improve productivity in workplaces and other state institutions. It is a reason to be happy to note that the working class has joined hands with the government to march towards the golden gate for prosperity. Let us all take the forefront to strengthen the President’s hands in transforming the motherland as the Wonder of Asia through national development. Attempts made by certain political leaders to use the May Day as a veil to hide their political nakedness and refine separatist forces should be condemned states UPFA May Day Committee Chairman Minister Dallas Alahapperuma in a May Day message. The UNP which is the main opposition party has divided the May Day. The accusations levelled by the two parties against each other show that one section of the UNP is celebrating the Premadas Commemoration while the other section is celebrating the Premadasa assassination with ‘Babu’. At a time when the nation is passing two years after defeating terrorism which dragged almost half of its period since gaining independence attempts made by politically bankrupt people to join separatists as bedfellows cannot be excused. Todays May Day is celebrated under the theme ‘Rata Ekata’ (country together). The UPFA is celebrating May Day under this theme. Therefore we request everyone to join the tens of thousands of the people marching from Campbell Park to the Town Hall ground. We also request all political parties not to become cats paws of people who are working against the country. On my behalf and on behalf of the hundreds of thousands of members grouped within the Ceylon Workers’ Congress, I am pleased to extend the warmest fraternal greetings to all workers without regard to geographical boundaries on the occasion of May Day 2012. May Day personifies the struggles faced and the triumphs registered by the pioneers of the labour movement from the inception of May Day and indexes the benefits accrued to the toiling massed through the union movement in our case the Ceylon Worker’s Congress. Undoubtedly the plantation industry represented by the regional plantation companies et al despite the many challenges facing the industry on the economic front has been required to cater to the needs of the workers in this sector through a collective agreement that has boosted their take home pay to alleviate the full impact of the steady rise in the cost of living. It was the CWC that played a pivotal role in concluding the collective agreement. It is imperative therefore to ensure that the living costs are pegged at a manageable level so that the income of the workers match the constantly escalating price of essential commodities. The social and infrastructural profile of the plantation community has seen slow but steady progress through inputs from the Livestock and Rural Community Development Ministry and the Economic Development Ministry through the Plantation Human Development Trust and this aspect has been further boosted by the Indian High Commission by the donation of housing, child development centres, establishment of curative health facilities and the provision of passenger transportation for the plantation community. All these benefits have been possible solely on account of the representative capacity and the lobbying expertise of the CWC. Therefore on this May Day 2012, a bounden duty devolves on the workers to close ranks and rally round the CWC in an affirmation of their continued confidence in the union and further strengthening its bargaining power. On May Day we should reminisce the example and victories ushered in by the MEP for the country and workers through the historic victory of 1956 which was achieved by uniting the five fold forces states a May Day message by Minister Dinesh Gunawardene and General Secretary Karunatilleke Dissanayake. The message adds that the UNP regime prohibited the May Day celebrations in 1987. It is 25 years since Kithsiri Newam Ranawaka and Leslie Lal Kiribathgoda were brutally killed in the police firing at the people who participated in an Asheervada Pooja at the Abhayaramaya, Narahenpita organized by the workers led by the MEP. The total elimination of LTTE terrorism by the UPFA government led by President Mahinda Rajapaksa has been a great source of strength to the nation and the working class as it has provided security for their lives, families, properties, jobs and the economic progress. Local and foreign forces which are incensed and offended by Sri Lanka’s ability to defeat terrorism and march towards progress are trying to create anarchy in the country and resuscitate terrorism by making false charges about human rights violations. As such the time has come for the working class to be alert towards these sinister moves. On this May day the working class should condemn with abhorrence these low tactics adopted by imperialists who are trying to undermine the country’s progress. I am very much pleased to issue this message in respect of the May Day celebrations of 2012 more purposely with the working people of Sri Lanka in mind. The manufacturing and service sectors have been improved countrywide, due to the country being freed from terrorism under the able leadership of President Mahinda Rajapaksa. A qualitative and quantitative improvement has been given rise to the private sector because of the enhancement of labour productivity and the efficiency of the working people. It is a good sign in the development of the industrial sector. We have been able to build a satisfied labour force by the empowerment of wages and service conditions through collective agreements. We celebrate May Day under the theme “One country within a united country”. The farmers stand firmly behind the President and the government on this May Day, celebrated at a time when they are moving towards economic stability states the President of the SLFP Govi Sammelanaya Minister S. M. Chandrasena in a May Day message. The Mahinda Rajapaksa government which endowed the nation with peace has now made it self sufficient in rice. The Divi Neguma Programme has greatly helped to make the country and its people self sufficient in food. At a time when the President and the government had faced international challenges fearlessly the entire farmer population form hands with them to celebrate May Day with pride.